It’s Gavin’s street fair birthday party! Today’s party will show us why the Peanuts gang still got the classic charm that can wow us over and over again. To be frank, I’m quite excited to feature Gavin’s party. Although this timeless classic has taken backseat to today’s popular cartoon characters (read: Disney, Nickelodeon and Marvel), I’m pretty sure the challenge to produce these Charlie Brown and the gang themed party décors made it more exciting for our uber talented stylists from Design Avenue for Party Starters. I love the laid-back vibe of Gavin’s party! The ambiance was very cozy and relaxing, if you ask me. The color combinations were perfect as well. Personally, I also prefer these hues more than the signature colors of yellow, black and brown of Charlie Brown. Charlie Brown and the gang were all present for Gavin’s party. A+ for effort in creating these cute custom cut-out centerpieces! There’s Charlie Brown, Lucy, Marcie, Linus, Sally, Snoopy and Woodstock. These miniature picket fences and buntings bring everything together- Cute! I’m sure Gavin’s guests had a blast playing at these game booths which included Balloon Pop Game and Ring Toss. They also have the classic comic art coloring station. For Gavin’s sweet treats spread, Mommy Dee provided the woodwork and props, also the hanging polaroids for the photo gallery and the hand painted letter standee! The Rice Krispies were baked by Mommy Dee’s sister and Tita especially for Gavin’s party. You can tell that a lot of love and effort went into making this party extra special! Creativity is apparent just by looking at the photos. Indeed, nowadays, children’s parties have evolved into elaborate artistic creations. The celebrant and guests for sure had fun. I love this theme very unique and very child-friendly theme, the cupcakes and the decors are incredible, very nice indeed. worth all the effort and I’m pretty sure the customer is very happy. Wahhh shame on me I forgot the image of Charlie Brown and yet he was my favorite character before. From the decorations, those cute little things, the stage, all of it are so amazing. The stylists are very talented to have this realized, I am sure the mom and the bday celebrant is so happy to see the outcome of the theme. I don’t have anything else to say other than “Wow!” “Very fancy!”, and simply a well-prepared celebration. Beautiful theme, my kids love CB. Simple design yet so lovely ..
very cute! the colour matches everything and of course matches charlie brown amazingly! Everything here is so lovely! There’s always something about birthday parties that make me drawn to it. It might be because it gives so much joy to the kiddos. Their smiles and giggles are simply priceless! Another wonderful party. The theme is great. The design of the whole place is simple yet elegant. Oh my!!! This theme is so cute and adorable! I love the colors too! It’s soft and yet lively! I love Charlie Brown and the gang, in fact, my son just watched it before he went to bed tonight! I love love love everything in this party! As usual, the idea and designs are really amazingly pretty. Love the design of the cupcakes! I love the theme and the cute designs. I am sure this is a pretty bonggang birthday! How adorable! It is perfect for a fall season kind of party. I love the floor table and every little details of the party. Just adorable! These days it’s not hard to communicate to people despite of it’s location and distance because of the advancement of technology. Internet brings us closer. Anyway, I love the theme looks very friendly and unique. What a nice birthday theme! The venue was well decorated and so neat. oh my, it’s snoopy!!! He used to be my childhood favorite cartoon character! This party is the awesome-est! I like the colors a lot <3 Feels so cool! How I love beautifully decorated birthday parties like this. 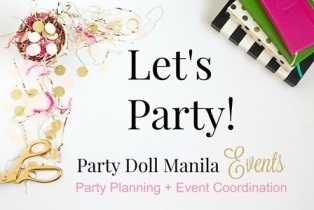 It’s my dream to be a party planner. Hopefully in the future I can pull-off a well-decorated and fabulous parties.